We are a prominent name involved in manufacturing and supplying Electro Magnetic Equipment. Under this category, we offer Electro Magnetic Lifter and Electro Obms to the clients. All these products are manufactured under the strict command of our experienced professionals using latest machines and instruments. These equipment are widely demanded in the market for their features like easy installation, low maintenance cost and longer functional life. Supported by a team of dexterous professionals, we have been able to introduce in the market Electro Vibro Feeder. 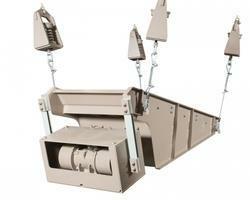 These feeders are designed to provide heavy and huge quantities of material a stable conveying. The product is provided with strong and smooth rollers who's rotating speed can be manually adjusted as per the requirements of the clients. With wide expertise in this domain, we have come up with Electro Magnetic Drum Separator. These separators are designed under the strict supervision of our expert engineers using advanced machines and instruments. Post-production, these products are tested on varied parameters to ensure their compliance with intentional standards. 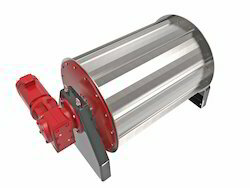 We offer these electromagnetic drum separators in different specifications to the clients as per their requirements. Looking for Electro Magnetic Equipment ?